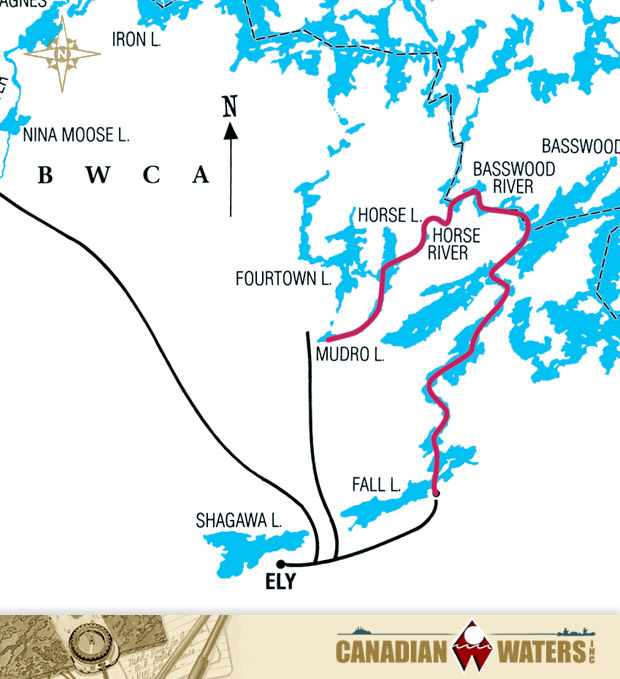 The BWCA Canoe Country has changed very little since the days of the Voyageurs. The lakes are still pure and you can still hear the wolves call as the sun slips behind the horizon. In fact, the area remains an unspoiled oasis of peace and solitude, and each year visitors gain more of an appreciation for the tranquility of a Boundary Waters canoe trip. 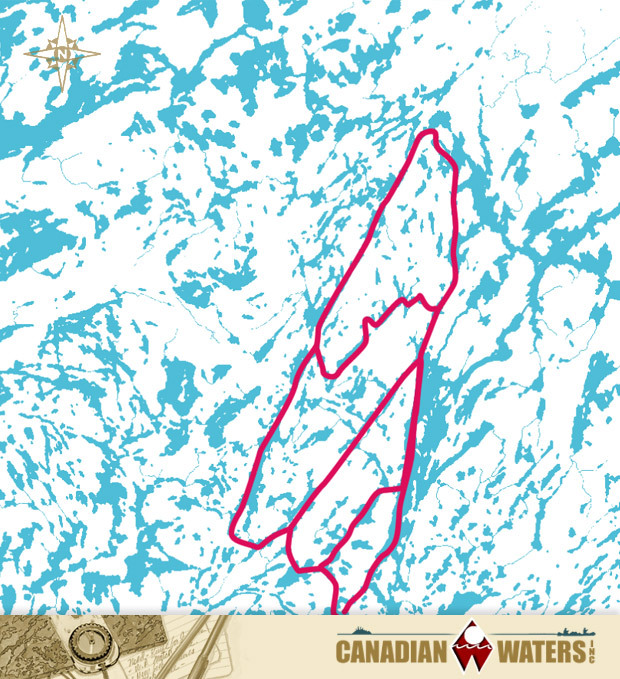 Whether you’re a hardy adventurer looking for a challenge or are more interested in exploring the canoe country at your own pace, we’ve mapped several area canoe trip routes that will accentuate the best the Boundary Waters Canoe Area and Quetico Provincial Park have to offer. Paddling north from the Echo Trail you travel through a series of small lakes and rivers, finally ending at Moose River on the Echo Trail. This trip can be done comfortably in 4 to 7 days, depending on whether you take the short loop or the long loop. This trip does not get a lot of traffic and there are a number of lakes along the route that have only 1 campsite. This means that you have the whole lake to yourself. Also, there are Indian paintings and waterfalls along this route. Although there are quite a few portages, most are short. Although the portage into Little Gabbro is fairly long, it is an easy trail and once you are on the lake you do not have to make any other portages. This is an excellend area for a base camp type trip where fishing is the main interest. Also, this entry point is well suited for short trips as you can be on your camp site by noon of your first day. Fishing is excellent and you have Walleye’s, Northern Pike, and Small Mouth Bass. Also, for those who don’t mind making a portage or two, there are several excellent lakes for day trips from this area. Snowbank Lake is a fairly large, open lake so wind can sometimes be a problem. However, it is a good entry point for parties wanting to make a circle route and return to Lake One. For the first two days of your trip you would be in the area that was damaged by the storm in 1999. Travel time from Snowbank to Lake One is 4 to 5 days. 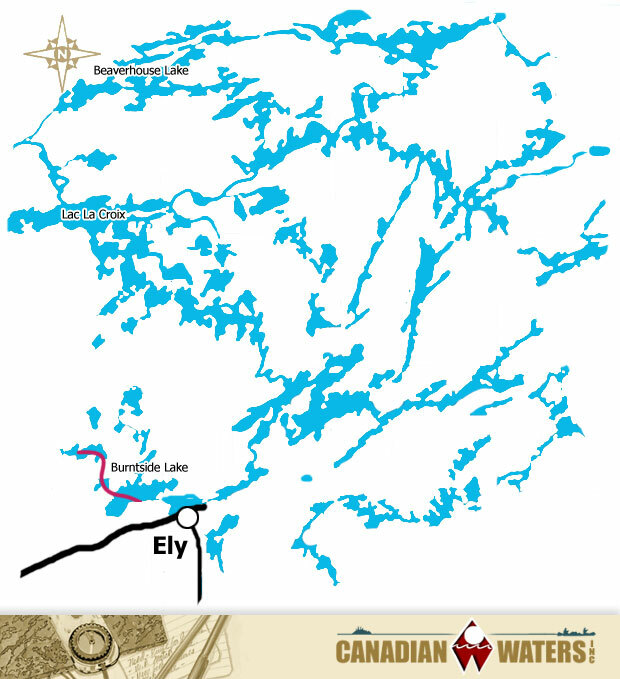 Moose Lake provides access to the eastern portion of the Boundary Waters and Quetico Park. However, due to the fact that Moose Lake has more permits available than any other entry point, we hesitate to recommend this as your starting point. Also, the eastern portion of the BWCAW was heavily damaged by a severe wind storm in 1999 and is more susceptible to fires and campfire restrictions. Fall Lake provides easy access to the western part of Basswood Lake, the Basswood River and Crooked Lake. There are 5 large waterfalls along this route and the scenery and fishing are spectacular. You can either make a circle trip returning to Fall Lake or you can end your trip at Mudro Lake. This trip can be done in 4 to 7 days, depending on the number of layover days you want. Although the Crab Lake Portage is about 1 & 1/4 miles long, it is not a bad portage and it provides access to Cummings Lake. This area is lightly used, and the Small Mouth Bass and Northern Pike fishing is excellent. This area is best suited for a base camp type of trip. Travel time from the entry point at Burntside Lake to your base camp location can be done in one day of travel. 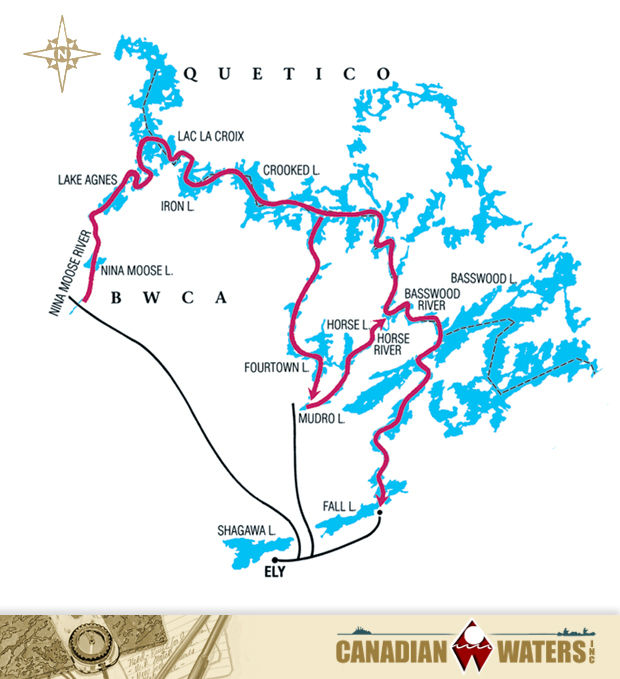 Starting from Beaverhouse Lake you can make a trans-Quetico trip and return to a number of different entry points on the U.S. side. For a 6 or 7 day trip you could return to Nina Moose River and if you wanted to add a day or two you could return to Mudro Lake or Fall Lake. We can transport you to Beaverhouse by van or by float plane. The van trip takes about 4 hours and the float plane trip takes about 40 minutes. 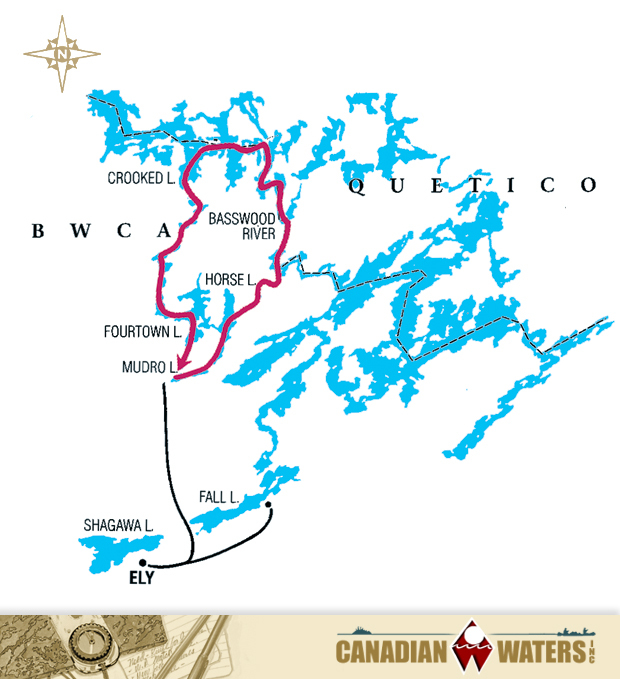 The route from Prairie Portage through North Bay of Basswood Lake and on up into Kahshahpiwi Lake takes you into the heart of the central part of Quetico Provincial Park, and provides access to the remote lakes of Keefer, Sark, and Cairn, and finally up into the northwest corner of Kawnipi Lake. This route offers the opportunity of several different circle trips ranging from as few as 6 or 7 days to as many as 10-12 days. Beginning at Isabella Lake or Island River and heading west down the Isabella River you travel through the area that has the highest moose population in the state. The trip from Isabella Lake to Lake One can be done comfortably in five days with one layover day. For those people preferring a shorter trip you can exit at Little Gabbro Lake. Starting at the Mudro Lake entry point you can be in the vicinity of Lower Basswood Falls by your first evening, and fishing legendary Crooked Lake on the morning of your second day out. 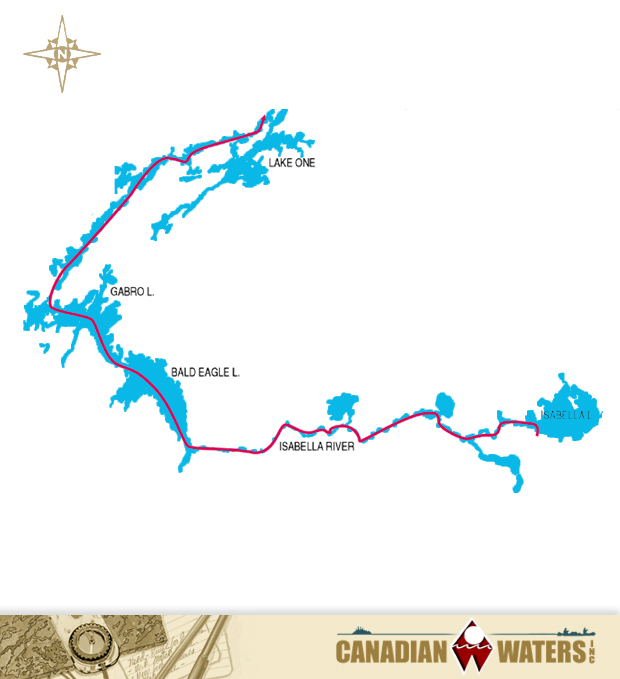 This route is not a…cake walk, however, and you should be prepared for some strenuous paddling and portaging. 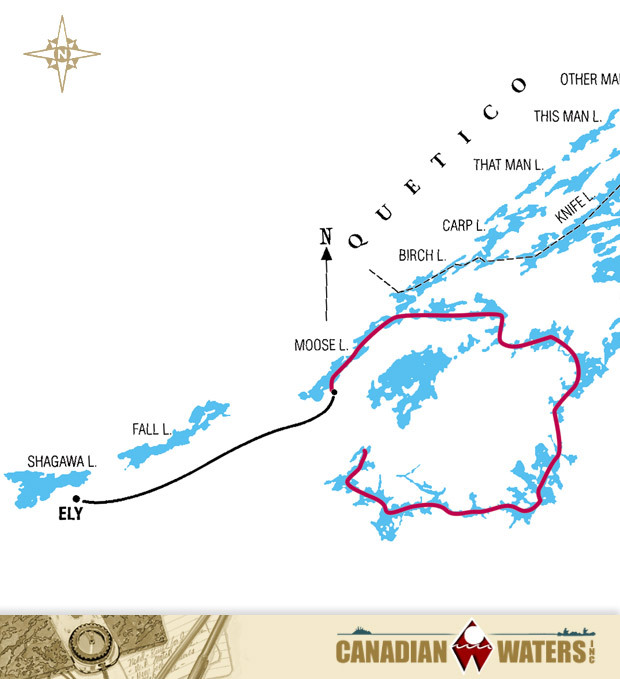 Plan on four days of travel time to complete the loop, returning via Friday Bay and Fourtown Lake back to Mudro. Add to this the number of days you want to spend fishing. Starting at Moose Lake just a few miles from the Quetico Park Ranger Station at Prairie Portage. A short paddle from Prairie Portage to the northeast will take you to the Carp Lake Portage, and from there up through the “Man” chain of lakes (That Man, This Man, Other Man, etc.). 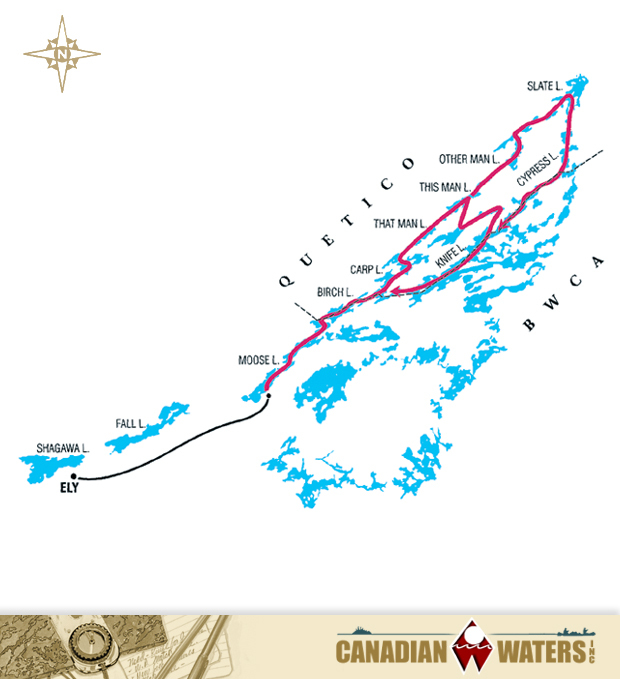 This particular route is well-suited to persons wishing to stay off the larger lakes. Plan on about five days of travel time, plus several days for fishing and sightseeing if you wish to make a circle trip. Otherwise, you can shorten your travel time if you return by the same route. 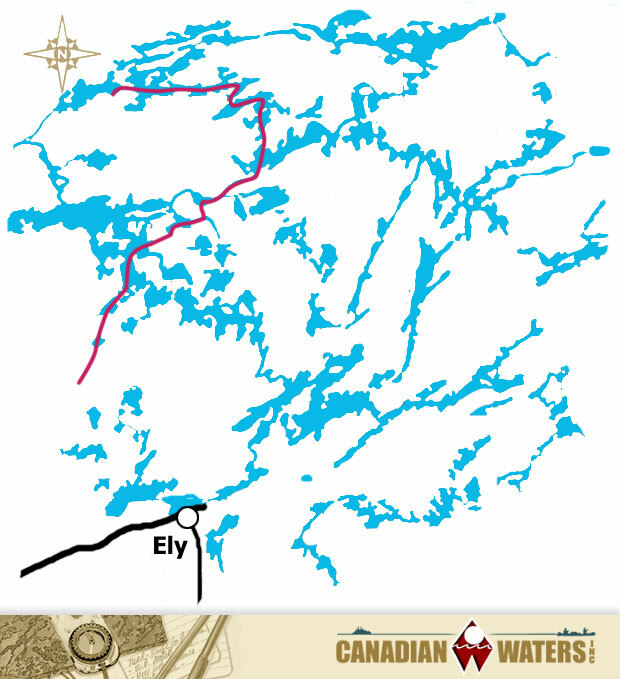 Starting from the Moose River entry point, north of Ely, you travel downstream through Nina Moose Lake and Agnes Lake to Lac La Croix, and then east through Iron Lake and Crooked Lake to the Basswood River. You can return to Mudro Lake via the Horse River, or to Fall Lake via Pipestone Bay of Basswood Lake. Travel distance is approximately 50 miles to Mudro Lake, and approximately 60 miles to Fall Lake. Allow five to six days of travel time to complete this route, and add on several extra days for some great fishing! 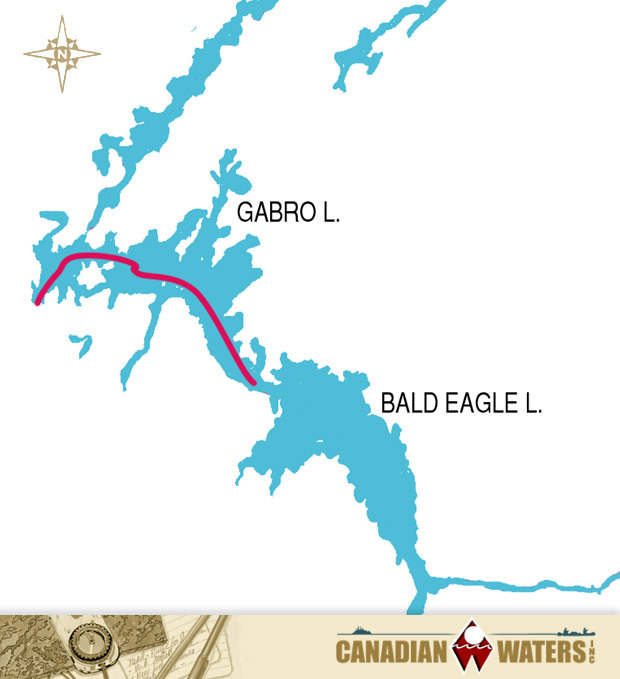 From Prairie Portage you will travel northwest through Bailey Bay of Basswood Lake to Burke Lake. From here you can turn east, traveling through Sunday and Meadows Lakes, to the south end of Agnes Lake, or continue on to North Bay of Basswood Lake and then head toward Agnes via Shade and Silence Lakes. Both alternatives will enable you to make a complete circle and return to Moose Lake. 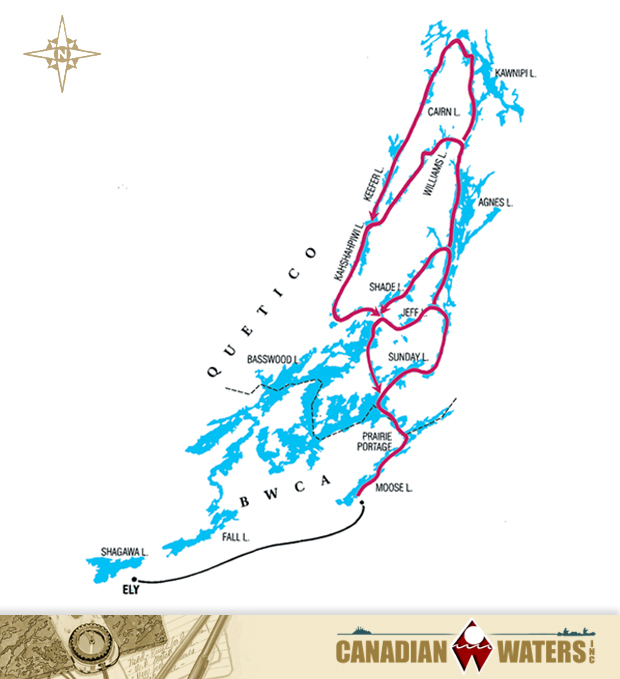 These routes may be shortened or lengthened, but plan on a fair amount of paddling and portaging. Allow a minimum of five days of travel to complete a short circle, and as many as ten to twelve days to extend the route. Add a sufficient number of days for fishing and sightseeing, and a few “layover” days. The advantage of this entry point is that there are a variety of route options available to you, including easy access for short trips of only two or three days. 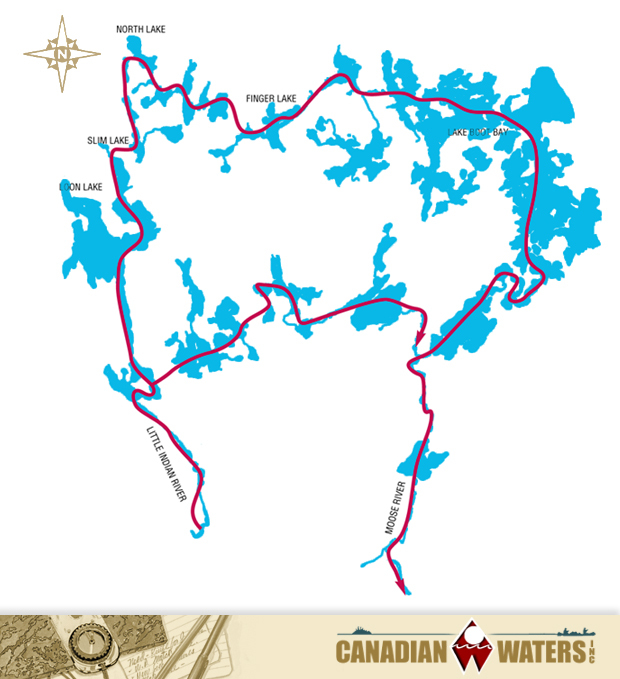 Longer extensions can include making a semi-circular trip through Insula Lake and returning to Snowbank Lake, or continuing through Ensign Lake and returning to Moose Lake. A further extension could take you farther east and north, returning to Moose Lake via Knife Lake. Trip duration can range from three to twelve days, depending on your specific route and your layover days. 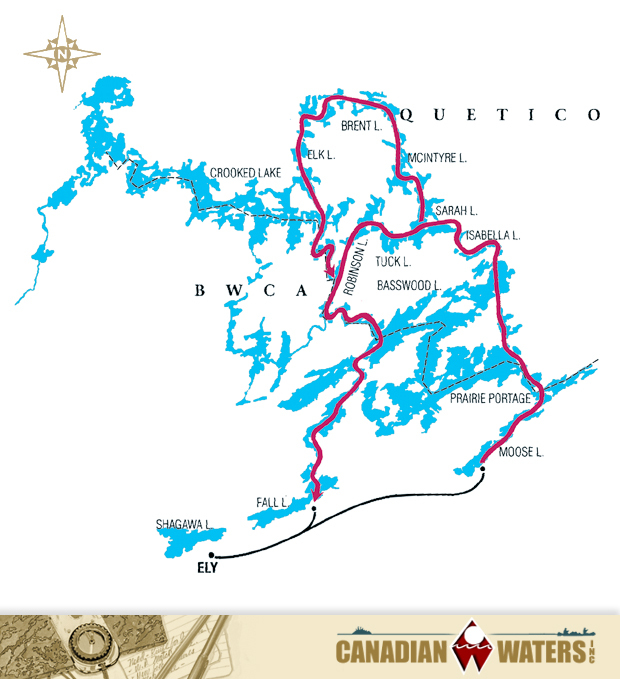 From Prairie Portage you will travel northwest through Bailey Bay and North Bay of Basswood Lake, and then through Isabella and several smaller lakes to Sarah Lake. 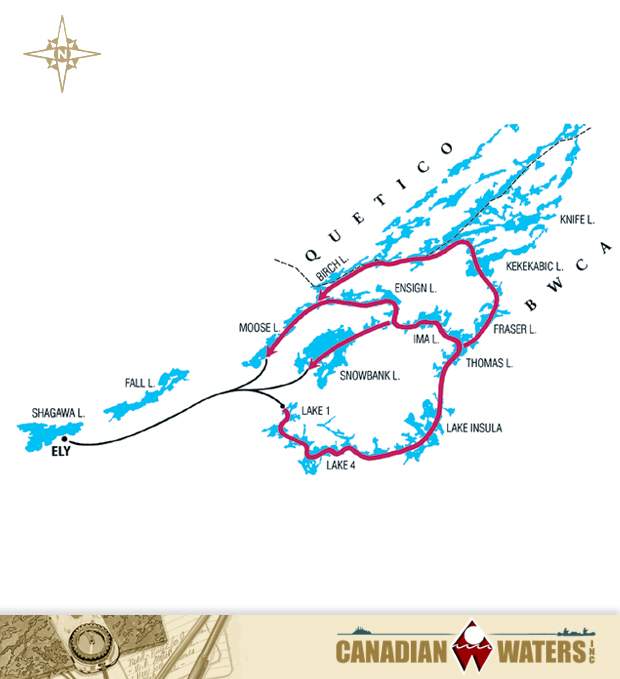 At Sarah you can continue northward through McIntyre Lake to a cluster of three lakes: Brent, Conmee and Suzanette – some of the best fishing lakes in Quetico Park – or head west through Robinson Lake to the Basswood River before turning back toward Moose Lake. Allow about six days of travel time for the short route and about eight days for the extended route up into Brent, plus time enough for some sightseeing and great fishing! 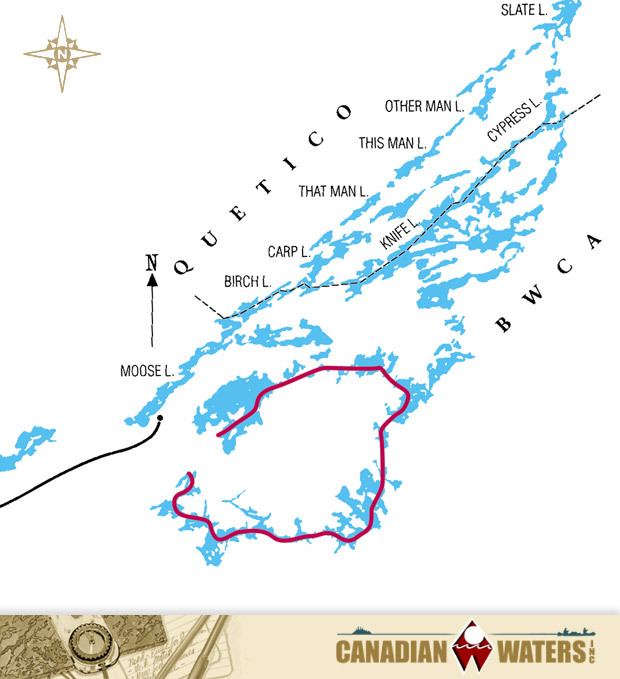 If you choose the extended route be prepared for plenty of paddling and portaging.